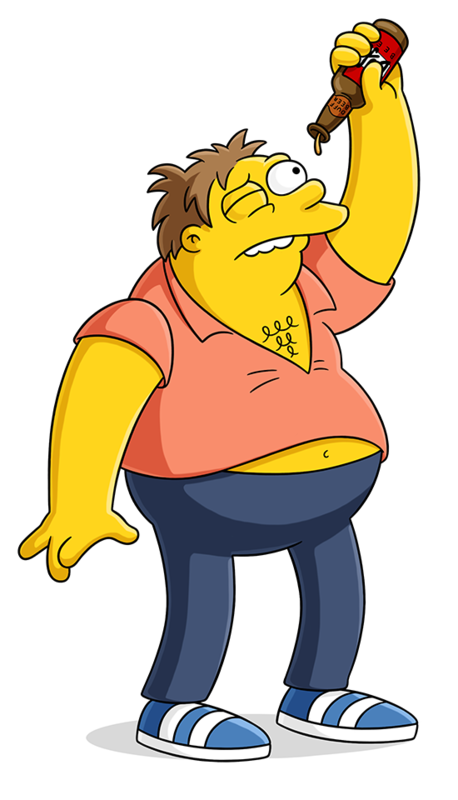 Springfield's barfly and Homer Simpson's best friend Barney Gumble lives for anything dealing with beer - especially Duff. Bart makes a prank call to Moe's Tavern when Ruth Powers is visiting. Young Marge checks Homer's references to potentially go on a date with him. Homer tries to think of unsexy thoughts while he's in the elevator with Mindy. Marge messages a man on Sassy Madison. The sooner I get her out, the sooner we can have omelets! We want Chilly Willy! We want Chilly Willy! Precious alcohol! Soaking into shag.